A person, who loves to collect coins should also be interested in history. Let’s say that you must know every important information about what you had been collecting. For example, the time came, where you would like to start selling these coins. Your potential coin buyer would be interested in your deal, if you can share him a little bit about this collection. It could be any information about when this was minted or cast and the famous people from the past with this coin. Through this, your potential customer can say that you are not just a collector or an investor because you know how this coin took part in the history. One of the coins that collections had invested in is the Morgan silver dollar. Now, if you are also collecting this coin, then it would be great to share what you know. So, what do you think will your buyer want to hear about this collection? Before you started collecting these old coins, you should have studied already about its history. The most important facts may be very interesting to discuss with your potential buyer. Remember that he is not just talking to you for nothing. When this person approached you, it means that he also wants to learn. A collector with knowledge is actually an advantage because he can use this in his marketing strategy, especially when he has a lot of old coins to deal. That’s why we have here some important facts for you to know about your collection of the Morgan Silver Dollar. 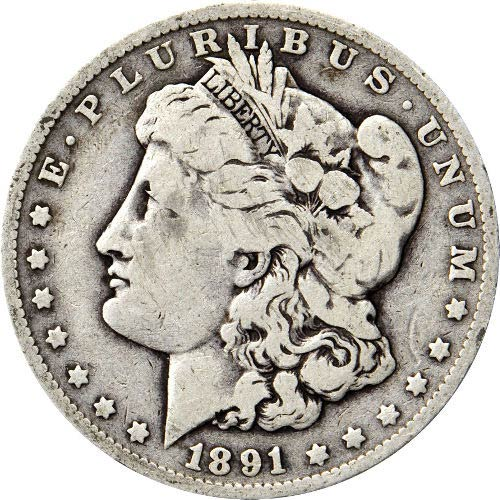 The Morgan silver dollar or the Liberty Head dollar coin was minted in the United States from 1878 – 1904 and then, in 1921. Some nicknames were given to this coin. We have the cartwheel and the buzzard dollar. It is actually the very first and a standard silver dollar coin that was minted and produced after the Seated Liberty dollar, which was stopped because of the Coinage Act of 1873. It was named after George T. Morgan, who was its designer. The coins weigh 26.73 g, measures 38.1 mm in diameter and 2.4 mm thick. And then, the edge was reeded, which means that the edge was designed with small parallel lines. This is composed of 90% Silver and 10% Copper. There were mint marks, too, such as cc for Carson City, s for San Francisco, o for New Orleans and d for Denver. The obverse design is Liberty and the reverse comes with an eagle clasping arrow and an olive branch design. The Bland – Allison Act authorized this coin, but was later on repealed because of the Sherman Silver Purchase Act. But, in 1918, Senator Key Pittiman passed the Pittiman Act and this led to the melting of about 350,000,000 silver dollars. And then the Peace Dollar replaced the Morgan dollar after 1921. It would be nice for you to check its specifications for future reference. Collectors are very much determined to complete their Morgan silver dollar coins. Luckily, there were some of these important coins that were found. In 1962, the 1888-O was discovered. It was given a nickname, called Hot Lips or Double Lips. It was struck two times, that’s why it appears to have doubled noses, chins and lips. We also have the 1889-CC, which is actually the rarest to find because there were only 350,000 scants. Another rare coin is the 1893-S with only 100,000 struck. While the 1895-S has 400,000 struck. Now, if you are desiring for the first and the last year series, then you should be looking for the 1878 8 Morgan dollar with a tail feathers reverse. This was issued in Philadelphia Mint but later on, Director Henry Linderman commanded to change the design. Because of this order, it was changed to 1878 7 Over 8 Tail. And then, they also had an 1878 7 Tail, which was minted and used in San Francisco, Carson City and Philadelphia. Lastly, we have the 1921-D that was released in 1878 – 1904 and then, in 1921. The last year was struck at San Francisco, Denver and Philadelphia. This was the very last series that was issued.